Curious about making your own cleaning products? Danielle Small from Naturally Simplified shares some basic information about why we should think about what's in the chemicals we use in our homes, and how we can safely make our own germ-killing concoctions using essential oils and simple ingredients from the grocery store. 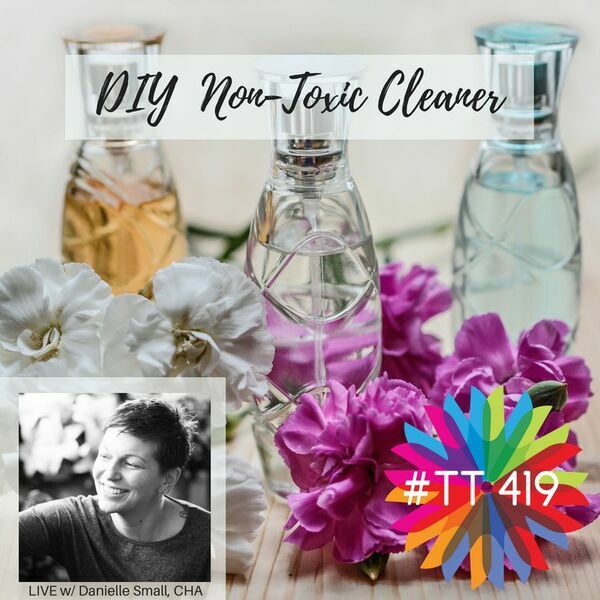 Get your very own DIY nontoxic cleaner kit from Danielle here! Information in this podcast is for informational purposes only. No information provided is intended to diagnose or treat any illness or disease. Always consult your health care provider before changing or adding any supplements to your treatment. This workshop was recorded in front of a live audience in April 2018 in Defiance, Ohio. Want to attend a live event in Defiance, Ohio with Danielle? This podcast is sponsored by Deep Roots Wellness: A Holistic Approach to Mental Health. To check out what our mind-body-spirit Licensed Professional Clinical Counselor can do for you, please visit www.MattHollo.com. He accepts insurance, all ages!